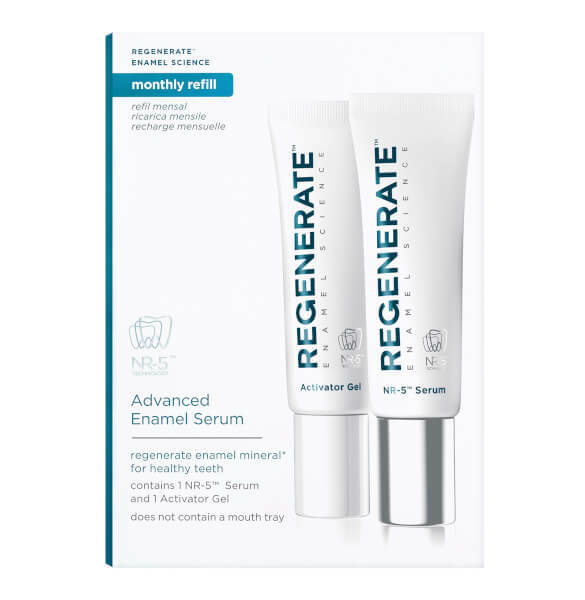 Increase the effectiveness of the Advanced Toothpaste with the Enamel Serum from Regenerate. One step in the Enamel Science Boosting Serum Kit, the Enamel Serum Refill is designed to replace the Boosting Serum once finished, in order to continue use with the kit. The exclusive Boosting Serum maximises the power of Enamel Mineral Regeneration, even in interdental spaces that are hard to reach. Utilising NR-5™ technology and fluoride, the Boosting Serum helps provide focused protection for teeth against the unwanted effects of early enamel erosion and acid attacks. When combined with the Activator Gel, the next step within the kit, the serum unleashes a concentrated boost of the formula, helping to visibly reverse the early enamel erosion process. 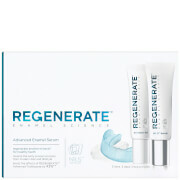 Use with a mouth tray as part of the Regenerate Enamel Science Boosting Serum Kit. Regenerate Enamel Science™ Boosting Serum should be used every month, for three consecutive days, preferably before bed time. For best results, use it in combination with the daily Advanced Toothpaste.